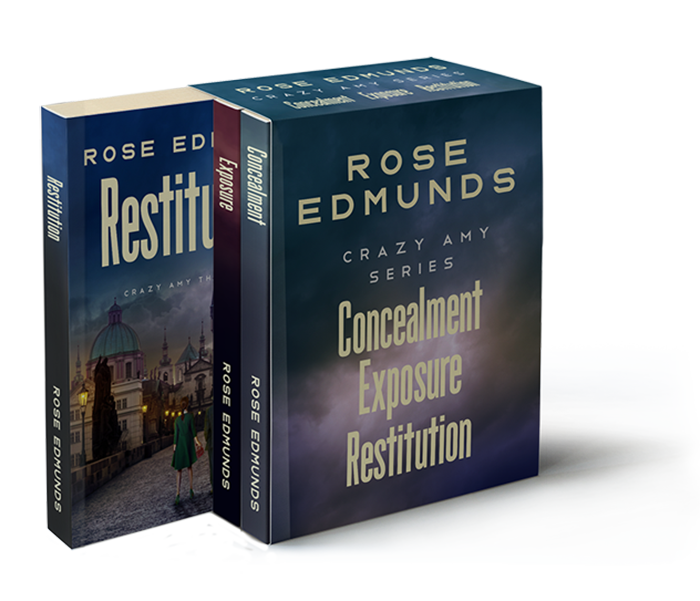 Welcome to the Rose Edmunds Official Website, where you’ll find news & information about me, my books, offers & events! My best-known work is the Crazy Amy series, with the first trilogy now out on Amazon. Hailed as Britain’s flakiest amateur sleuth, there is no other female protagonist quite like Amy. You can find out more here. And if you’ve already met Amy, why not join the Crazy Amy VIP Fan Club, for news, offers and exclusive access to a series of free short stories running in parallel to the books.